It has been a busy day for UK Eurovision fans — and that still might be an understatement! 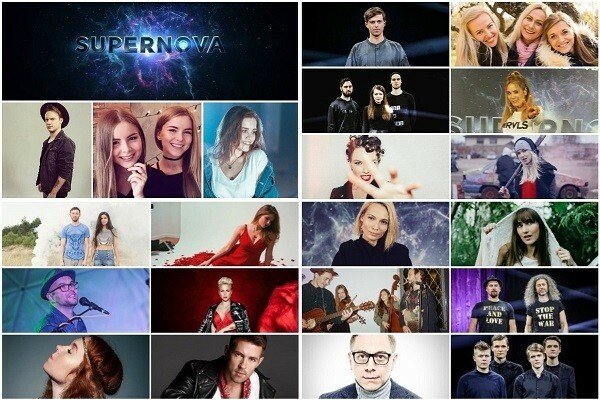 First came a midnight reveal of the artists for Eurovision: You Decide 2018. Then, this morning, all six songs were released in full. Now there’s only one thing left: deciding who your favourite is! We want to know who y’all want to see win at You Decide on February 7. With that in mind, we’ve got a poll for you to have your say. With a number of different styles on offer, reaction seems to suggest that this is a stronger selection than last year’s crop. But of course, there can only be one winner from the group. You can let us know who your favourite is to represent the United Kingdom in Lisbon in our poll. The rules are simple: you can vote for as many of the acts as you like. But you can only vote ONCE. That means your vote had better count when you make it, y’all! Eurovision: You Decide 2018 — Who should win? We’ll be revealing the results of our poll just before the final. Eurovision: You Decide 2018 will take place on Wednesday, February 7 inside the Brighton Dome. The show will be broadcast live on BBC2, hosted by Mel Giedroyc and Eurovision winner, Måns Zelmerlöw. Who did you vote for? Do you think your favourite has a shot at getting the UK a good result in Lisbon? Let us know all your thoughts in the comments section below! everyone voting, and Europe please get behind Asanda, and her song legends. this song has so much beat, and rhythm and so energetic to listen to. and I’m sure the performance will live up to all expectation and we will get a top 10 result. Asanda will deliver, and hopefully all of Europe get behind her. I really like SuRie, with storm. This is very catchy and instant, it reminds me of Emmelie de Forest, I think it could do well if given the chance, not too keen on any of the others, sorry, but and 2nd choice would be Asanda. Predictive text took over there. Word ‘and’ sneaked in somehow , it does not belong and doesn’t make sense I know. I don’t understand the negativity! We’ve improved so much in the past few years. Do I need to remind everyone of Electro Velvet? I would be fine with us sending any of these. I want to let my fellow country men know that, yes, we will probably not win for many years, and so what?! 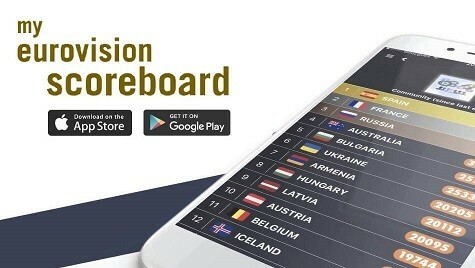 Enjoy the competition, discover some new music and don’t worry about winning! absolutely right, compared to 2015, and 2016, these songs are excellent, and we have done brilliant compared to then. so we will get a great result regardless. I think people expect our songs don’t match up to countries like Sweden, but we have a great chance to get a top 10 this year. and Asanda or Raya or even Goldstone could get us a good result this year. I’m optimistic and think we will deliver. I find all 6 songs very average. They all sound like songs we’ve heard before. They’re all channelling other artists and songs. That said, the only one that could stand out is YOU, although I don’t really like it much. Definitely better line up than last year for the U.K! “Legends” is current, fresh, I can easily listen to this on the radio. Amazing voice and great music. However, I have my doubts about the live performance, but if Asanda kills it live, she should definitely go! Also, I really like “You”. It’s so beautiful. Not sure it will have an international appeal though. And “Astronaut” sounds good, it’s sweet and has a nice melody, but this title troubles me a bit. I don’t want to see another astronaut on stage, please. I can’t stop listening to I feel the love. So much energy, so uplifting! The BBC will want to send You or Storms and this is a huge mistake, they have bottom 5 written all over them. Obviously Legends. The UK has been too safe the past couple of years and they need to get back to letting their hair down a little and just enjoying music for what it is. Sad to say I didn’t care for any of these songs at all. Legends is the best if made to choose. Disappointing. UK are stepping their game up this year aaaaahh I love 3 songs, enjoy 2 and find 1 mediocre. I would like to see Asanda win, because her song has something Eurovision has never seen and I think it could work really well. I’m predicting RAYA will win, but that won’t bother me because I love her song too. I liked “Legends” and “Storm” the most. As some others have already stated the result would depend on the staging and presentation as none of them is especially strong for a contest. But in spite of all.. good entries from the UK this year. There was no Song among them I really disliked. I’m shocked that Legends is no.1. There is a reason why Margaret-Cool me down was not voted as much as Michal Szpak in Polish NF. This genre is not liked everywhere in Europe. Is just your Western Europe music taste. I like the song You, but I have no hope that will be in esc. Also, why the lyrics of You are controversial? How can a song placing 20-24th get 200 points?? And people complain of Armenian preselaction! Legends sounds less harmful! voted for it! Side note, any rumours of any interval acts? I’d like Salvador to appear but that is unlikely. Maybe Måns will entertain us? There was an article on the BBC recently that Salvador hopes to be well enough to perform in May, so fingers crossed! No credible rumours for interval acts in Brighton, except for Måns. I wanna die. Can’t believe my taste in music is beyond this poll. Anyway, this selection is kinda weak. I wanna have the UK from the old days back. Back in the days of “Sing, Little Birdie”? Please cut down on the y’alls. It’s forced, unnecessary and stale (slay too). Variety is the spice of life! Y’all is just a contraction, like it’s, you’re and they’re, etc. It’s also less to type. Aren’t there more important things to be picky over? If you don’t like it go watch another channel. Or create your own where you don’t say “y’all”. Easy breezy. Not a strong selection thia year UK… I’d be surprised it they even get top 15 with any of these songs. I feel the love of the 80’s. Honestly, it’s the only song which is catchy and straightforward. Happy and fun even if it triggers that DATED flag at the credpolice. It is also the only song I wanted to hear more than once. Raya’s song sounds like it was performed by Ukraine or Armenia. Asanda is OK, but I don’t think she will get very far in the contest. Legends is easily the best, fresh and feisty it held my attention right from the start through to the finish, whereas the others made me want to skip well before the end. You is also quite nice. Well, these are surely not the worst songs, but seriously, is this what the UK can pull ?! I expected some better entries, after having sent a masterpiece last year. The only option, which could do well imo is Legends. With a good staging and a possible revamp, it could actually surpise and bring the UK back to the right side of the scoreboard. Hopefully they won’t mess it up, and send Asanda. The same can be said about last year. Almost nobody like any of the sox entries for 2017. And then Lucie’s revamp happened. The rest are just not good. This selection seems quite weak to me ? The 2018 UK ESC entry will probably be “Crazy” after the live performances.